Monday 11:00am-8:00pm , Tuesday 11:00am-8:00pm , Wednesday 11:00am-8:00pm , Thursday 11:00am-8:00pm , Friday 11:00am-9:00pm , Saturday 11:00am-9:00pm , Sunday 11:00am-8:00pm . Pacific Mall offer more than 427 brand name stores. Pacific Mall is located in Markham, Ontario - 4300 Steeles Ave. E. at Kennedy, Markham, Ontario - ON L3R 0Y5, Canada (GPS: 43.825564, -79.305646). Look at the list of stores in Pacific Mall, hours, location and information about mall and special events, sales, coupons. You can choose store from list below and get detail information - other stores locations for the brand, location, shopping hours, phone, map, directions contact. Pacific Mall is one of the best shopping place for spend your free time - mall/shopping center has all types of stores - outlets, department, fashion, traditional and more. Have you ever visited Pacific Mall? Do not forget to write shopping review and rate your satisfaction. Pacific Mall is an Asian shopping centre, which is located in Markham, Ontario, Canada. The position is on the northeast side of Steels Avenue and Kennedy Road. The entrace of the mall is from two roads, one of them is Readlea and the second one is Clayton Drive. Pacific Mall was opened in 1997. The mall has a total of 270 000 square feet of retail space. The idea of the mall’s concept is: Try and enjoy a traditional Pacific-style market. Corridors of the main floor are named after streets in Hong Kong. The mall is liberated from the Retail Business Holiday Act and is open year-round including statutory holidays. Its also hosts festivals and celebrations for the community. Pacific Mall encompass existing shopping plaza, which is surrounded, and including the Market Village. offers over 500 and are served by indoor and outdoor parking areas with over 1 500 parking spaces. The parking has two floors and underground level. 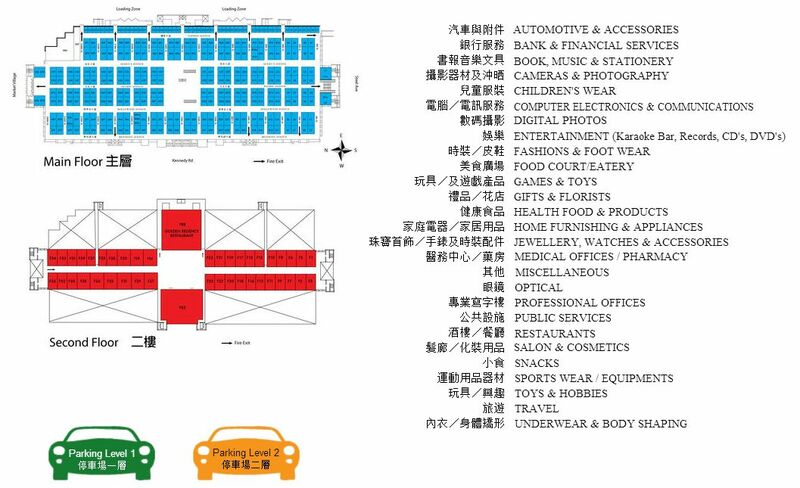 There are some examples of offering shops and services: Hing Lung Trading, Art Auto Sports – Accessories, Broadcast Fantasia, Cell Phone, Virgin Mobile, 3 Degree Green, Pacific Down City, Sheng Chang, ViVi, Kamdorbo, Clothouse, WaWa Boutique, Missy Me, Kogo, New Wave Fashion, Can-America Life Care, Home Comfort Centre, Lucky Cat Gift Shop, Chinese Fine Arts & Craft, Kam Fai Jewellery, Gold Station Goldbuyers, Bling – Bling, Elite Players Sport Boutique and so on. Pacific Mall and neighbouring Asian malls are known for their video games, movies, music and other entertainment media. The mall is located at the major intersection of Steeles Avenue and Kenedy Road. I tis served by Toronto Transit Commission and York Region Transit buses. They are located within walking distance from Milliken GO Station. Directions from the East: Peterborough: Take the HWY-401W towards TORONTO, Take exit towards KENNEDY ROAD/WARDEN AVE./VICTORIA PK. AVE., Take the KENNEY ROAD exit - exit number 379, Turn RIGHT onto KENNEDY RD., Turn RIGHT onto STEELES AVE E.
Directions from the South: Downtown Toronto: take the DON VALLEY PKWY. N., Take PROVINCIAL ROUTE 404 N., Take the RR-8/WOODBINE AVE./STEELES AVE. exit - exit number 22, Turn RIGHT onto STEELES AVE E.
Directions from the West: Etobicoke: Take the DON VALLEY PKWY. N., Take PROVINCIAL ROUTE 404 N., Keep LEFT at the fork in the ramp, Merge onto PROVINCIAL ROUTE 404 N., Take the RR-8/WOODBINE AVE./STEELES AVE. exit - exit number 22, Turn RIGHT onto STEELES AVE E.
Directions from the South-West: US Border: Take the QEW E towards Downtown Toronto, Stay straight to go onto GARDINER EXWY E., Take the DON VALLEY PKWY exit on the left, Merge onto DON VALLEY PKWY N., Take PROVINCIAL ROUTE 404 N., Take the RR-8/WOODBINE AVE./STEELES AVE. exit - exit number 22, Turn RIGHT onto STEELES AVE E.
Chan Chi Kee Cutley Co. Ltd.
D & P Photo Supplies Co. Glory Bee Health Products Inc.
Hing Lung Trading Co. Ltd.
Rono Wong CPA Professional Corp.
Telus – Cellular Battery Corp.
Y & Y Design Jewellery Inc.
Sam Kee Book Store Ltd.
Wing Tai Hong Trading Co. Ltd. They fixed the phone... been working fine for a couple weeks now. Good guys. They don't answer their phones till 11 am. Now...how do I edit the previous comment? (1/5) Very Rude Shop Owner of "Love Add" store located at Pacific Mall!! Last weekend I stepped into the "Love Add" retail store at Pacific Mall because I was interested in the RFID Wallet that was in their display case. I requested to look at one and asked some questions about it. BIG MISTAKE!! Due to his tone and body language, it appeared that I have disturbed him having his lunch as he was the only salesperson. He seemed so uninterested in answering my questions and looked like he wanted to go back to eating his lunch. I inquired about the price and also inquired, out of curiosity, whether this wallet will set off security metal detectors. He had the most snarkiest, condescending reply: "This is not a weapon, you know!" WTF!! This shop owner must think he is the only retail store around to offer this product. Needless to say, I will never step into this store again, and rest assured, I will do my part to spread the word. EPIC FAIL for this shop!! Give us your experience with Pacific Mall by writing a short review.